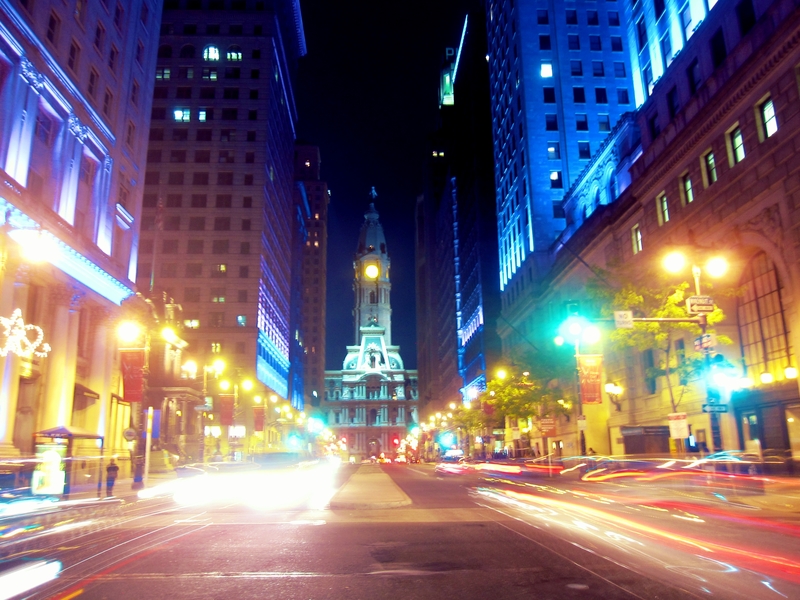 This impressive building framed by the colourfully lit office towers is Philadelphia City Hall. Featuring both the world's largest building-top statue and an impressively bright 4 faced clock-tower, it's a monumental sight at night. Street musicians providing the soundtrack to meals at great restaurants, and well-manicured parks to stroll through after dessert; what's not to like about downtown Philly? this picture is so amazing! sometimes you need to see your "home" through others' eyes for a fresh appreciation!